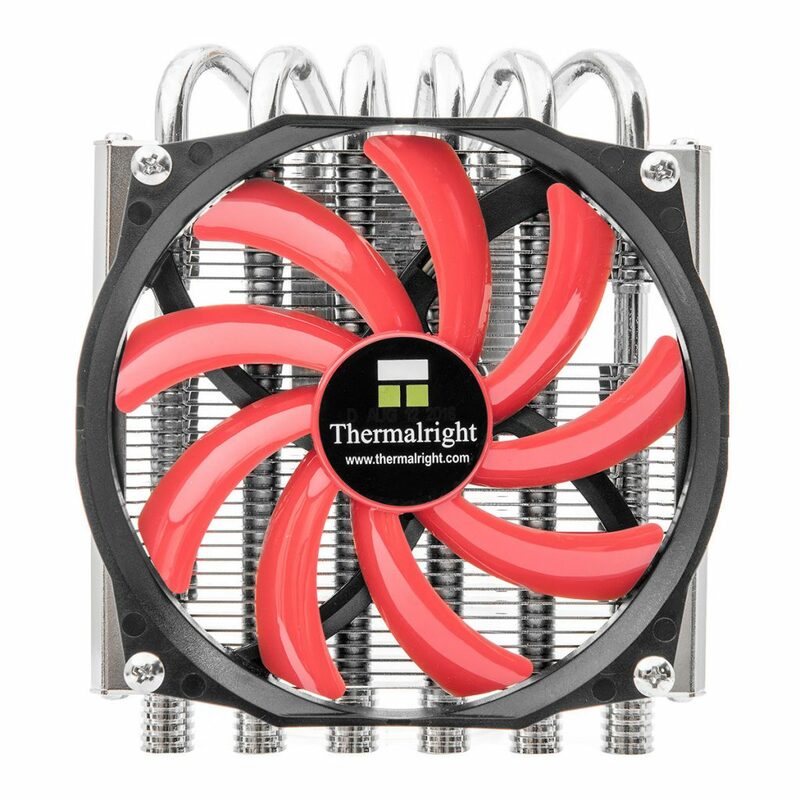 With the AXP-100RH Thermalright presents a slightly higher version of the popular HTPC cooler to match the AXP-100H Muscle. We would also like to use the opportunity to introduce the Silver Arrow ITX-R, which will become available at the beginning of March. The AXP-100RH has been designed for users who are looking for maximum cooling capacity at minimal dimensions. 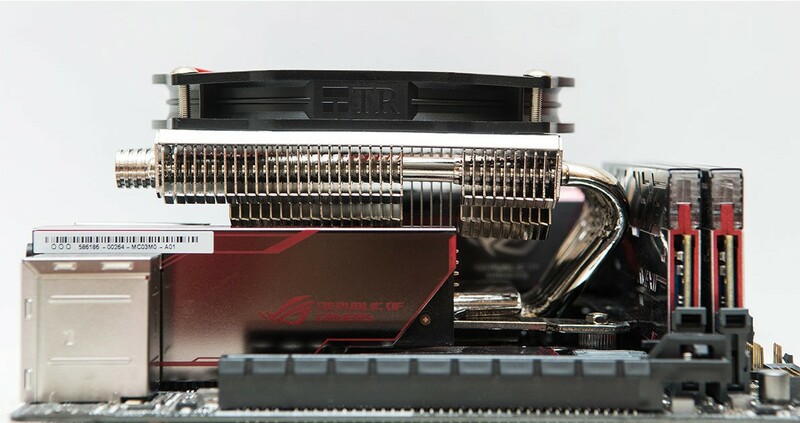 The adjustment in height became necessary to match the higher VRM cooler of the most recent ASUS “Republic of Gamers” MAXIMUS motherboard series. The black and red design of the original AXP-100R was meant as a homage to the “Republic of Gamers” series. 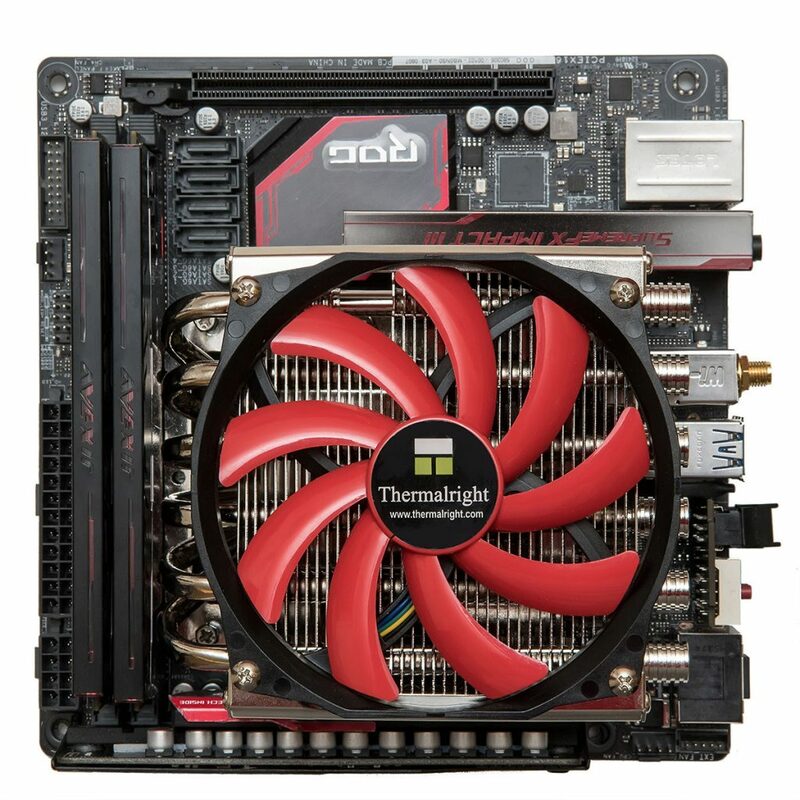 In order to use the cooler on the new Mini-ITX motherboards, the height was increased by 7 mm. With its 51 mm (65 mm with the fan), it is the perfect cooler for compact home theater/multimedia systems or minimalistic work stations with a limited height. 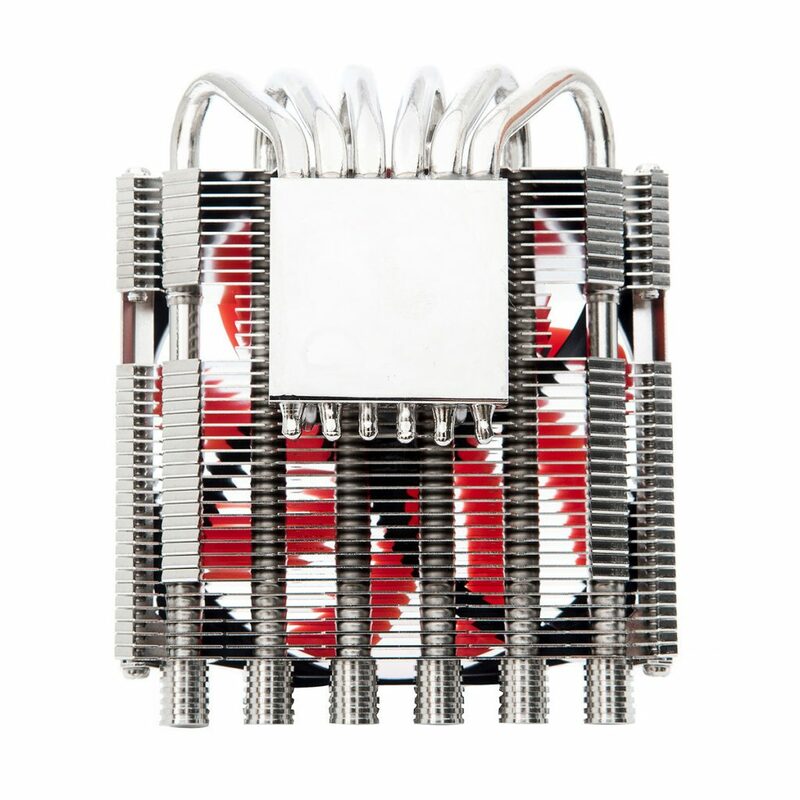 The AXP-100RH is equipped with six 6 mm heatpipes, finished with high-end heatpipe caps. 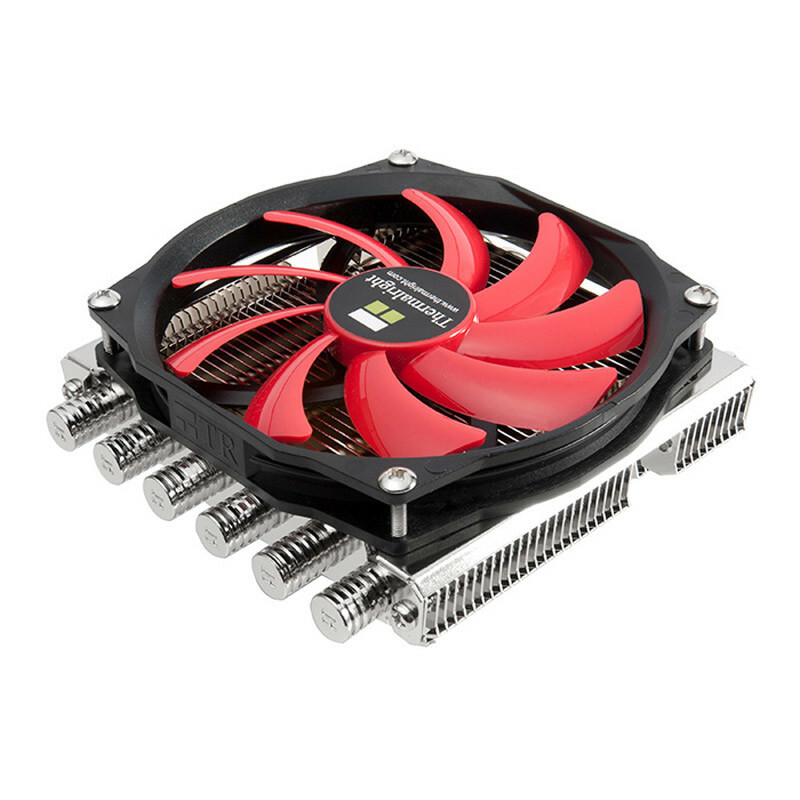 The cooler uses the well-known T-shaped “down draft” design, in which the air flow is directed perpendicular to the mainboard, which allows the cooling of the surrounding motherboard components at the same time. Included is the well-known TY 100R fan. The included “Enhanced Fan Mount” of the AXP-100RH allows maximum flexibility when installing fan, in order to make best use of the available space in HTC-cases. 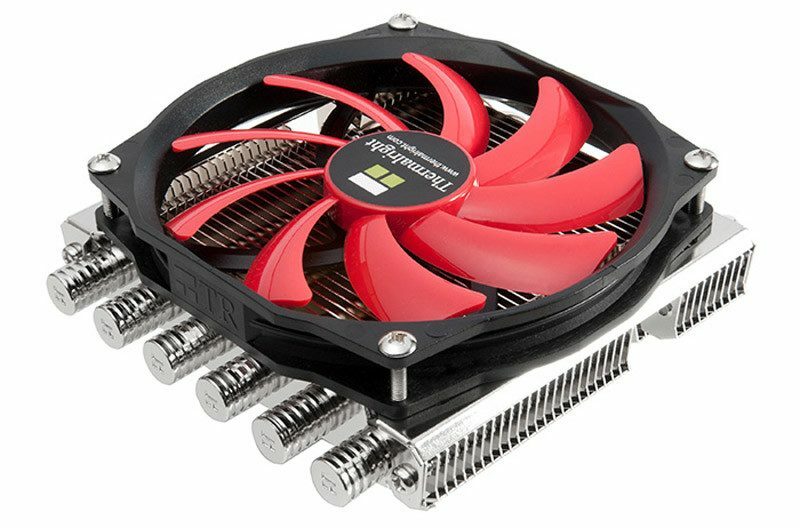 In addition, the “Enhanced Fan Mount” allows the easy installation of larger fans with 120 mm mounting holes (like the TY 147B) on the cooler. The AXP-100RH is now available in stores.